We make Plumbing happen - Give Us A Call Today! WHY YOU NEED GAS FITTERS IN THE CENTRAL COAST? Simply put, a gas fitter is a type of serviceman who installs and services natural gas fixtures and gas appliances at the residential, commercial, or industrial level. Gas fitting is a separate occupation from plumbing, but a number of plumbing contractors also offer specialized gas fitting services. It is just of optimum importance that a gas fitter come with the proper occupational, qualification, and training requirements. Their job is a crucial one—a gas fitter preserves the gas fixtures in your home or office in order to prevent fire or chemical hazards. To get in touch with such professionals, we invite you to contact Wide Plumbing Services. We offer gas fitting services as well as other specialty plumbing services, and we’ll make sure that someone careful and reliable is on the job. Give us a call at 0419 012 750 or send us an email at centralwideservices@gmail.com for any inquiries on gas fitting services, and to get an obligation-free project estimate. Gas fitting is a meticulous job. Your contracted gas fitter will need to fulfill the following duties in order to comply with safety regulations: plan where gas equipment should be located, install gas pipes, test the pipe work for gas appliances, install flues, and take charge of maintenance, among others. To get an estimate specific to your requirements simply contact us and we’ll be able to give you an indication of cost straight away. Gas fitting is just one of the specialty services offered by Wide Plumbing. 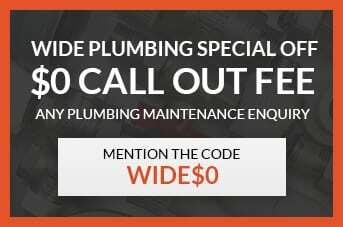 Wide Plumbing comprises a wide team of licenced and highly-trained plumbing professionals who can work anywhere in the Central Coast. Our plumbing and gas fitting services aim to be fully functional for one year, so that we minimize additional costs from out of your pocket. We’ll schedule a visit to your home or office before setting up gas fitting arrangements with you. We will also give you a free, no-obligations estimate for the job. Your honesty matters to us, and we won’t undertake any additional work until you give us final approval. Contact Wide Plumbing Services to do gas fitting and a wide range of other specialty services. No job too big, no job too small, for expert plumbing in the Central Coast – Wide Plumbing is your first point of call! For efficiency and quality you can rely on, give our specialists a call at 0419 012 750. We will get back to you promptly!